Sign-up and receive Property Email Alerts of Residential New Developments in Balaclava, Balaclava. Thoughtfully situated amongst 90 hectares of rural parkland and a stunning beachfront, Royal Park is a unique residential resort overlooking the bay of Balaclava on the northwest coast of Mauritius. Promoting a new lifestyle and community philosophy previously unknown on the island, Royal Park has been consciously designed for local and international owners alike. This inclusive residential resort connects with the true heritage and personality of Mauritius whilst providing all the services and facilities expected from a leading resort. At the heart of the resort, owners will find a park, thoughtfully designed by internationally acclaimed landscape architect Colin Okashimo. Landscaped with indigenous trees, plants and water features, it provides a beautiful and soothing space in which to relax, play and admire nature at work. Bel Air is strategically located in the south eastern region of the Royal Park estate with exceptional views on either the Moka range or on the legendary sunsets of the Turtle Bay. The development offers homeowners easy access to a wide range of cultural activities, sports, leisure, restaurants, bars, shops, spas and medical services. Bel Air proposes a collection of 20 townhouses, bordering a private and thoughtfully landscaped avenue, providing four bedrooms properties of 260 m2 net area, two of which ensuite, designed on generous plots of 326 m2 to 593 m2. 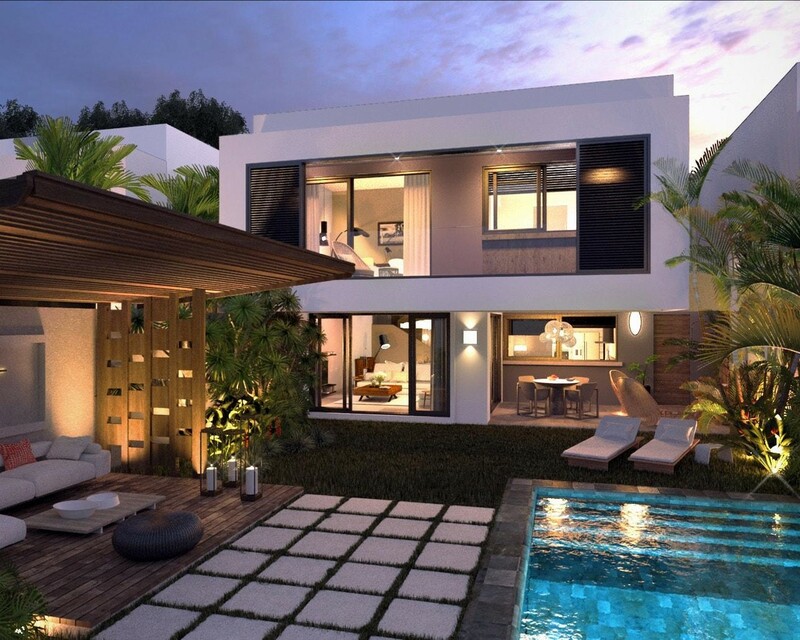 Each residence comes with two private parking spaces, landscaped garden, a swimming pool and an outdoor gazebo. The interior design, contemporary, functional and inspired by both the natural surrounds and the park's lush vegetation, meets effortlessly with the exterior spaces, creating an environment and a living experience that truly connects with the outdoors, whilst ensuring privacy. In addition, the architecture provides high ceiling giving exceptional volume to the residence while ensuring a pleasant natural ventilation.